SAP PS Tables contains the list of SAP PS ( Project System ) module with the SAP PS Relationship between the main tables. Find also the list of SAP PS Main Tables. the key for a Project in SAP PS PROJ is PROJ-PSPNR for Project definition (internal). Note that the keys for a PRPS for Work Center Table in SAP PS is PRPS-PSPNR for WBS Element. The link between PROJ and PRPS is based on PROJ-PSPHI = PRPS-OBJNR. In SAP PS, The Network Table is RPSCO. It stores all notification’s related data to WBS, Activities and Network Related to Actual Costs. 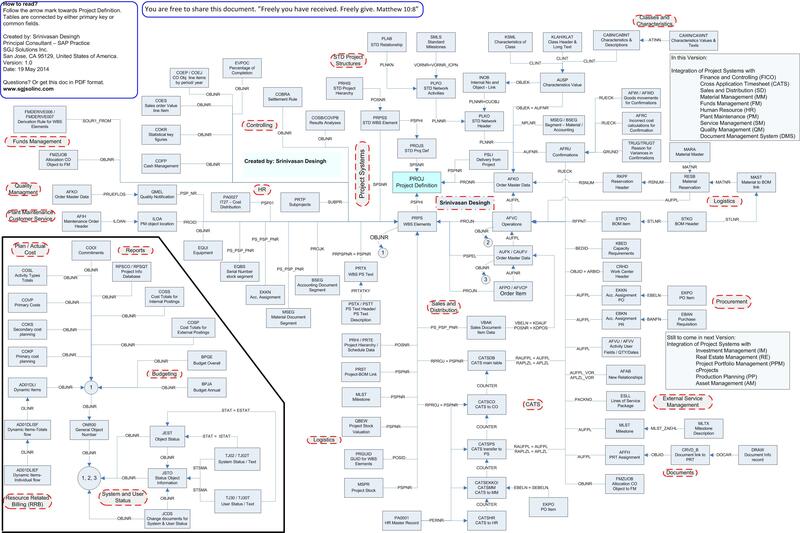 You can download the SAP PS Main Tables PDF Diagram here. 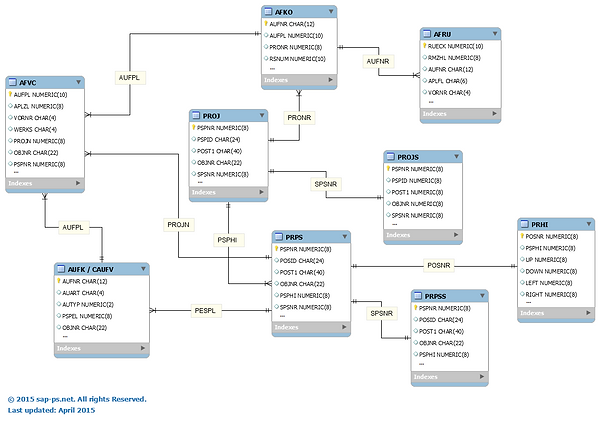 This PDF SAP PS Diagram Table regroups the SAP Project System Data model (simplified) with the keys reuired to join between the different Tables in SAP PS.